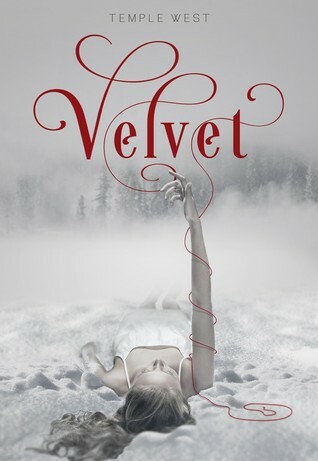 The debut author of the YA paranormal romance Velvet is as nerdy in real life as she is on the Twitter. Armed with a very shiny English degree, she spent four months in Oxford holed up at the Radcliffe Camera amongst the hush of ancient books and the rich musk of academia. Returning to Los Angeles, she acquired a concurrent degree in film, mostly as an excuse to write essays about The Princess Bride and Hook. She can sew (poorly), drive stick (please fasten your seatbelt), and mostly lift her feet off the ground while stuttering into first gear on a very small motorcycle. She currently lives in Seattle but tends to wander from city to city like the gypsy she is. I forgot how fast this book goes. The story and characters just make this book alive that yo'ur finished before you know it. I truly loved this story. Although it might have a Twilight feel to it, I don't really care I LOVE IT!!! This is the second time I've read this book, and it will not be the last reread that I do. Cat is such a strong character that you just can't help but love her. I do wish we would have gotten a dual POV in this one as I would have loved to know what was going around in Adrian's head. It worked out. It had a great pace and a wonderfully romantic story. I'm so excited that I have book two.